Adult Ballet, Mondays at Drake Hall, Amersham. Jill joined Thatcham Ballet School (now West Berkshire Ballet School) at the age of 10, taking classes with Gillian Robinson.In 1982 I became a student at The Arts Educational School, London and completed the 3 year Classical Ballet course.I took my Associate teaching qualification in 1989 – AISTD Cecc – and taught for Vacaniand Antonia Dugdale (St John’s Wood Ballet School) from 1990 until 2002. During that time I passed the Cecchetti Advanced examination and the Cecchetti teaching Diploma – AISTDdip (Cecc). Children’s Ballet,Saturdays at Drake Hall, Amersham. 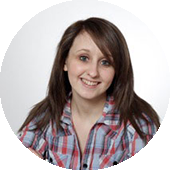 Chantelle has been dancing and performing since she was 3 years old and over the years has performed in numerous dance school shows as well as four pantomimes and two shows with the Russian ballet. She recently achieved her ISTD Diploma in Dance Instruction in Tap and Modern and is now training towards her Diploma in Dance Education in Tap and Modern. 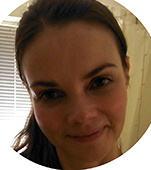 Karen began dancing at the age of 3 and from the age of 6 took ballet classes with Mrs Monzanireaching Grade 6. Karen came back to ballet after having her first baby and took the CecchettiVocational examinations at The West Berkshire Ballet School and went on to take her teaching exams with Cara Drower at The London Studio Center and with Susan Handy at The Linda Sweetzer Teacher Training College. 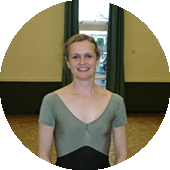 Karen has previously taught at the Sasha White School of Ballet and at Maidenhead College, she still dances regularly and participates in the Professional Development Program at The Royal ballet School. Eva was born in Paris where she began dancing at the age of 3. Growing up she went through a lot of styles including ballet, jazz, modern and commercial. She started Rhythmic Gymnastic at the age of 7, where she succeeded and managed to become French Champion twice. Then she attended a stage school in France where she discovered her passion for musical theatre. 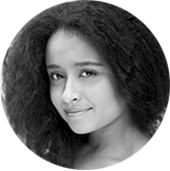 She moved to London and trained at CTA Performing Arts where she taught tap, ballet, jazz and modern alongside her training in Musical Theatre. Eva joined The MTA last October, studying all kinds of dance styles like: jazz, ballet, tap, contemporary and commercial.